Why your water may not be clean. Recent weather events have seen strong winds and heavy rain. With all this activity, water sources can become contaminated with unwanted debris. Debris from these weather events include, leaves, dirt, bugs, and bacteria. If you have a water tank that has run off from a roof this is especially true. Having the roof run off may fill your tanks however your roof may be visited by birds and other animals, leaving behind unwanted gifts and guests. When it comes to safe clean water, is the water in your home really as clean as you thought. Water filters improve the quality of drinking water, a concern for everyone. Whether it be dealing with bad taste, chemicals, sediment or any other condition you want to remove from your water, DJ’s Electric Motor and Pump Centre can help you. DJ’s are a Puretec Platinum Master Dealers. What this means is that we have access to the best products at very good prices to solve your water filtration or purification needs. If your needing a whole new system, maintenance or just some advice on our range, our friendly staff are ready to help. Send us and email, give us a call or visit our showroom. Previously QR Ipswich requested a mobile filtration system for their services. Taking on the opportunity to build a system in-store that runs off a 12/24V battery and can go anywhere they need it to. Thank you QR Ipswich for giving us the opportunity in helping you achieve clean water where ever you need it. Sizzling hot weather means you need pumps to provide cooling nourishing water! Upgrade or replace your pump now! Check out some really cool specials from DAB Pumps and Bianco Pumps. 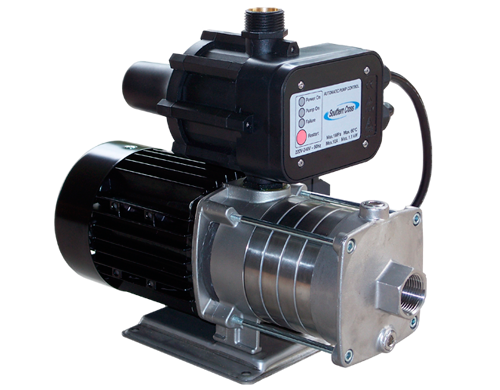 These are quality Italian made pumps with Bonus 6 year warranty on selected models. Call in at Parrot St Ipswich or call us on 07 3282 4599 to ask us about these pumps. Not sure about your Water? Worried about the clarity and purity of your drinking water? Here’s the answer. Darryl is standing next to a Puretec Hybrid filter UV steriliser that is about to be installed in a house. It will provide pure clear water free of bugs and chemicals to every tap in the house. Designed for both mains and rainwater supply, this filter system is highly effective in eliminating 99.9% bacteria and parasites in your water. Enjoy the peace of mind of safe, purified water at every outlet in the house. The Puretec Hybrid system is highly effective and efficient in reducing taste, odour, chemicals and sediment in your water, giving good general purpose filtration. Puretec are the leading manufacturer of filtration equipment in Australia and DJ’s is delighted to be a platinum master dealer in the Ipswich area. We have a large stock of replacement cartridges to suit most filter housings. Does your water taste bad? Filter your water now! Does your mains water taste of chlorine? Enjoy purified water at every outlet in the house. The Puretec WH1 systems are designed for the budget-conscious householder, giving good general purpose filtration. The Puretec WH1 incorporates Puretec’s long life filter technology, so you can go longer between filter replacements, and comes with our 10 Year Platinum Protection Warranty^. These systems provide peace-of-mind throughout the house, reducing taste, odour, chemicals and sediment in your water. This systems protects and prolongs life of appliances throughout your home. Enjoy purified water at every outlet in the house. The Puretec WH1 Series systems are designed for the budget-conscious householder, giving good general purpose filtration. These systems do not require power to operate. 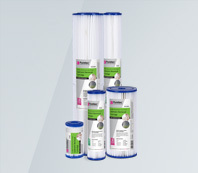 Very easy to maintain, just replace the filter cartridge when the taste and odour returns or every 6 months. Did you know DJ’s Electric Motor and Pump Centre is a specialist supplier of all types of poly fittings for use in home, farm or industry. Go to our web page Pipes and Fittings to discover a lot of information about products available along with lots of information. Not only do we have the stock but we can advise you on how to use them. And, we are agents for Philmac, Australias’ leading manufacturer and supplier quality fittings for water etc. We also supply poly pipe, valves and couplings, and irrigation to suit your needs. Did you know DJ’s do Southern Cross Pumps? 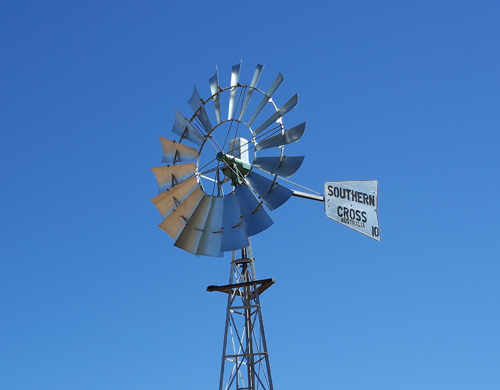 Southern Cross pumps have been synonymous with quality and with Australia. Remember the windmills? Did you know.. we do water filters? Puretec water systems are designed to filter out bad odour, viruses, bacteria, chlorine and other chemicals using proven carbon block technology. Ranging from water filter jugs to whole house water filtration, no matter what your drinking water system needs we have a solution for your home or business. We have great prices and great advice. Call us now on (07) 3282 4599 or call in to pick up a system or a replacement cartridge.